Over recent months, there has been a sudden wave of public awareness relating to the massive and growing problem of plastic in our seas. Mainly thanks to a remarkable BBC documentary featuring Sir David Attenborough highlighting the problem and the ensuing awareness campaigns, plus, the advent of alternatives to plastic. When you think about it, the same analogy can be applied to space with different effects. Our increased dependency on space capabilities demands an understanding of the associated vulnerabilities in what has become an increasingly congested Earth-orbiting space environment. From just one spacecraft in-orbit in 1957, to thousands of spacecrafts, their associated transportation systems (spent rocket stages) and other related debris have entered the space domain. This debris is causing a knock-on effect to our space environment. We have two responsibilities: reduce the debris in space and prevent further debris being generated. Much like plastic in our seas, debris has been steadily growing over recent years. While many of these objects have either transited out of Earth orbit or re-entered Earth’s atmosphere and disintegrated, nearly 23,000 trackable objects currently remain in orbit. This includes Vanguard 1, the oldest orbiting Earth object, along with 1,150 active spacecraft and thousands of retired spacecraft or other orbiting debris, ranging in size from fragments to 25-meter-long rocket stages at altitudes from 100,000 to120,000 kilometers (km) or more from the Earth’s surface. Given the significantly reduced atmospheric drag in higher Earth orbits, many objects will stay in space for decades, and in Geosynchronous Orbits (GEO) objects could remain in space for hundreds of years or more. An example is that of the Joint Space Operations Center (JSpOC) based in the U.S., which actively tracks all objects of ‘softball size’ (10 centimeters) or larger in-orbit, using a combination of ground radar and optical systems and some space-based sensors. Of the 23,000 trackable objects, 7,500 are considered very small and are followed only by an extremely limited number of sensors. Degradations among those sensors can have a significant impact on our ability to track and, more importantly, to provide safety of flight for both critical manned and unmanned space vehicles. Remember, the object the size of a marble (1 cm) has the potential to destroy a spacecraft. Presently such small objects are not tracked, and only rarely consistently track objects between 1 cm and 10 cm. Estimates of the number of such objects in Low Earth Orbit (LEO) range between 300,000 and 560,000. It is expected that as sensors and computing systems improve, more will be discovered and could track thousands more of these objects. Then consider that the number of objects less than 1 cm is estimated at more than 150 million! Before 2007, the number of trackable objects orbiting Earth increased at a predictable rate. But since then, three incidents have completely changed the situation. In 2007, the Chinese carried out an anti-satellite test against their spacecraft known as Fengyun 1C. Two years later, there was a collision between two spacecraft known as Iridium 33 and Cosmos 2251. And, in 2012, the upper stage of a Russian BRIZ-M rocket exploded. Together, these events were a watershed. Between them they nearly doubled the number of catalogued objects in orbit, drastically increasing the amount of close approaches between orbiting objects, or “conjunctions,” that are detected. Additional debris from those three events are found and tracked nearly every day. 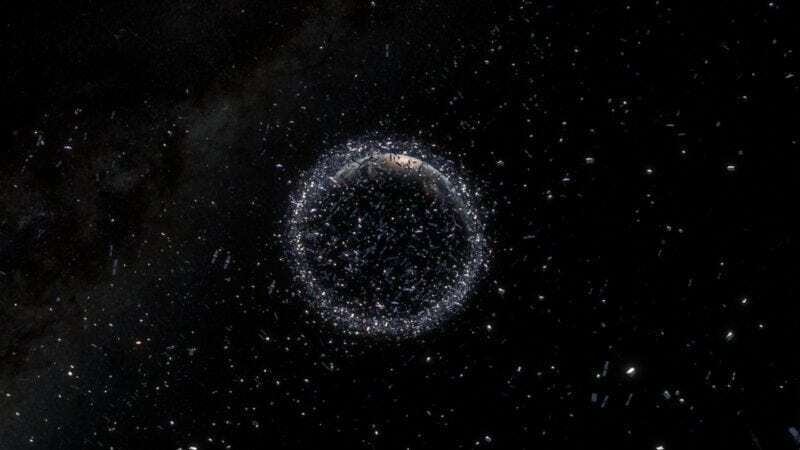 According to the Kessler syndrome, a theory proposed by NASAscientist Donald J Kessler in 1978, a collision in Low Earth Orbit (LEO) would cause a self-sustaining cascading collision of space debris. As two objects collide and create more debris, this will then collide with other objects, further exacerbating the problem until space becomes literally filled with debris. The plastic problem has far from gone away, but we are now seeing huge action taking place on a global scale to remove plastic from our oceans and reduce the amount of disposal plastic being used on a daily basis. In space, we are slow on the uptake. Yet, we have the awareness, power, and responsibility — so how do we fix the problem of debris? A major reason why the Space Data Associationwas set up in the first place to complement the vital work done by JSpOC and recognise the problem for the commercial industry. Other organisations such as European Space Agency (ESA) and DLR(German Aerospace) are also heavily involved with similar work and cooperation, bring new developments and technology to help remedy the debris problem. The first question is how do we remove the debris already in space? It is a challenging dilemma and not easily answered. That said, there are a few innovative ideas that have the beginnings of success with some recent launches of debris recovery spacecraft and a continuing program of development. Over the past few years there have been a number of ideas emerging to tackle this growing problem, including using an electrodynamic tetherdesigned to generate electricity that would slow down the speed of satellites or space debris, allowing it to return to earth. Another idea saw a British company launch a sail to effectively push debris down to lower orbits. However, tangible results are low. Last year saw the launch of a spacecraft from the International Space Station(ISS) which may change that. It is aiming to experiment with removing debris through a harpoon, net, and drag sail. Since launch, it has been running a range of experiments with the different methods. Once complete sometime next month it will use the drag sail to deorbit, which is critical in order to ensure it doesn’t itself cause extra debris. This is of course just initial experiments but is a massive step in the right direction. As well as focusing on removing debris from orbit, we need to work on preventing the cause of further debris. This comes down to ensuring all satellite operators adhere to certain best practices. Firstly, we need to be avoiding debris-generating collisions. The only way to do that is to have effective and accurate space traffic management solutions in place. The best way of ensuring that right now is by joining and feeding data into the Space Data Association which is able to warn of close approaches. The more members it has, the more accurate that data becomes. It is particularly crucial for those smaller operators which do not have the luxury of dedicated space situational awareness teams. The other element is what happens at the end of the satellite’s life. The new LEO mega constellations mostly have extensive deorbiting plans in place. The same cannot be said for some of the older satellites currently in space or the new era of small, cube, or nano satellites! If deorbiting plans were not in place at launch, how can we ensure they are not simply left in orbit to risk causing debris at a later date? Deorbiting should be a requirement for all new satellite launches but it also needs to be considered for those already in space without deorbiting provisions in place. Ultimately, just as is the need in the seas, we need to get to a scenario where debris is at a minimum and new debris is not being generated. The only way we can get there is with innovative new tools and cooperation of the entire satellite industry. More importantly, as we explore further in space, such as our Moon and Mars, then we should keep those places clean — from the start! 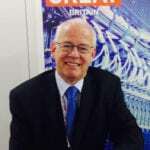 Martin Coleman is the executive director of the Satcoms Innovation Group. The post Debris: The Plastic of the Sky appeared first on Via Satellite.